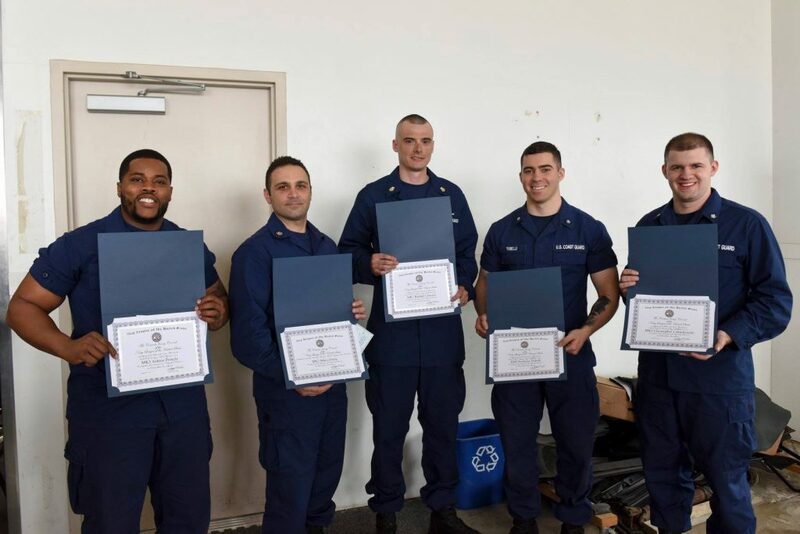 Sailors of the Year aka EPOY (Enlisted Personnel of the Year), alongside their COs, being recognized by the Navy League and about 100 of their shipmates at the US Coast Guard station, Military Ocean Terminal Bayonne. 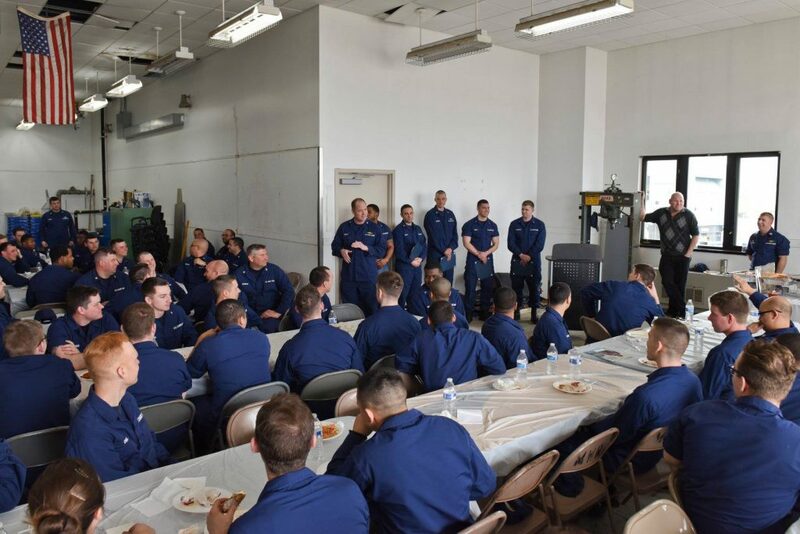 A huge thank you to the COs for helping ensure so many personnel were available to be present, and for us to feed – we love feeding the military! 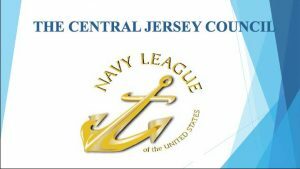 This is the first time we’ve been able to conduct one of our ‘sailor of the year’ award ceremonies in front of their shipmates and it was a great experience.